Employee engagement is an HR strategy where leaders give their team the tools they need to succeed to have a higher performing staff with greater job satisfaction. I believe the #1 tool sales leaders can give their salespeople is information. Successful employee engagement directly impacts the bottom line. 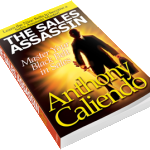 To paraphrase Maya Angelou, salespeople who know more, do better and sell more. Salespeople who know the company’s goals, who understand their performance expectations and how they rate, who are given tools and techniques to improve their sales, and who are recognized for their achievements will sell more and increase company profits. 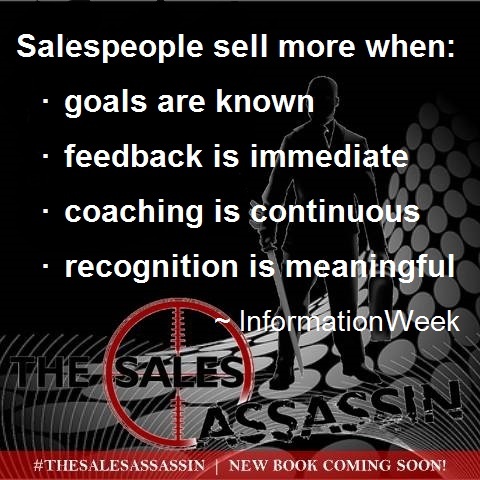 Salespeople will sell more and increase company profits if they understand what the company’s goals are. I recently read a case study where a top-selling sales rep was fired because while his sales continuously met or exceeded goals, the cost of his sales resulted in lower profits for each sale. Simply, the company gave him sales goals which he achieved. However, the promises he made to make those sales cost more to the company that the profit from each sale. When giving sales goals to your salespeople, be clear. Sales goals are more than just the dollar value of products sold: for a company to be profitable sales profits have to exceed the cost of making the sale. Sound simple? Then sales leaders must educate salespeople on both sales goals and profit goals: and the impact both have on their performance. A performance review is a standard method many companies use to communicate and document employee work performance, dispense raises and bonuses, and issue employment warnings or terminations. The key to successful performance reviews is that nothing should be a surprise: the employee should always know where their performance rates against company expectations. For feedback to be useful, sales leaders need to provide immediate, ongoing feedback to their sales team. Whether the feedback is good or bad, whether it relates to sales goals or the ability to work with the sales team, whether the feedback is on a sales rep’s personal appearance or his paperwork, for feedback to get results a sales leader must communicate both positive and negative feedback to salespeople when it happens. Sales coaching provides tools, practice and information for salespeople to improve their performance and meet the company’s objectives. Sales coaching is not just for new sales reps: continuous, ongoing sales coaching improves the performance of top sales performers and under performing sales reps. Strength-based coaching develops and coaches each sales rep’s strengths, as well as their performance weaknesses. Sales management is not the same as sales coaching. Many sales leaders spend enormous amounts of time dealing with the paperwork and forecasting demanded in their position. Sales coaching is a vital role of sales leaders to improve the performance of their entire sales team. Put it in my paycheck: that’s the typical request of all overachieving employees. For salespeople whose salary may be highly dependent on receiving bonuses, sales leaders must deliver performance recognition that increases the sales person’s job satisfaction and reduces top performer attrition. Providing a strong incentive plan is a starting point for recognizing your salespeople’s accomplishments. Find out what type of recognition motivates your sales team, including submission for industry awards, attending industry training or meetings, or being featured in your company newsletter. Not every salesperson wants to be recognized for their success by promotion to management or a handshake behind closed doors. To reach sales success sales leaders can’t engage with their sales team from behind closed office doors or while locked away in senior management meetings. The principles of MBWA – Management By Walking Around – are required for sales leaders to engage and interact with their sales teams in meaningful ways that result in increased sales and profitability.